At the Bakersfield Campus, several classes are capped to allow each student’s voice to be heard. Smaller class sizes also give instructors more time with each student, enriching the experience for both student and teacher in these healthcare training programs. Various Unitek programs prepare students by giving them access to healthcare facilities, simulation training, and extensive instruction. Most of these programs can be completed in a year or less. 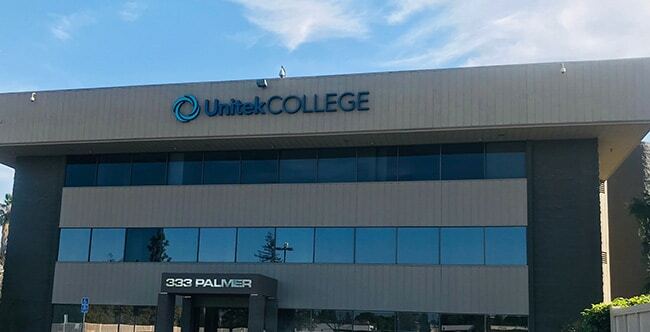 If you’re looking for a healthcare career and you’re short on time, Unitek’s Vocational Nursing program can be completed in as little as 12 months. The Bakersfield Campus is located near the Golden State Highway and Stockdale Highway. It’s surrounded by several establishments, such as the Bakersfield Spa Institute, In-N-Out Burger, Pizza Hut, Outback Steakhouse, Panda Express, and more. Vocational Nursing program in Bakersfield: This program gives students the knowledge and skillset they’ll need to pass the licensure exam. If you like to help people, this program could be a great choice—healthcare careers are often incredibly rewarding. Medical Assisting Program in Bakersfield: This program equips students with the experience and skills they’ll need to excel as a Medical Assistant. A supervised externship is included! Medical Office Administration Program in Bakersfield: Learn how to provide excellent patient administration with this program. Students will learn about medical office procedures, patient interaction, medical records, and more.